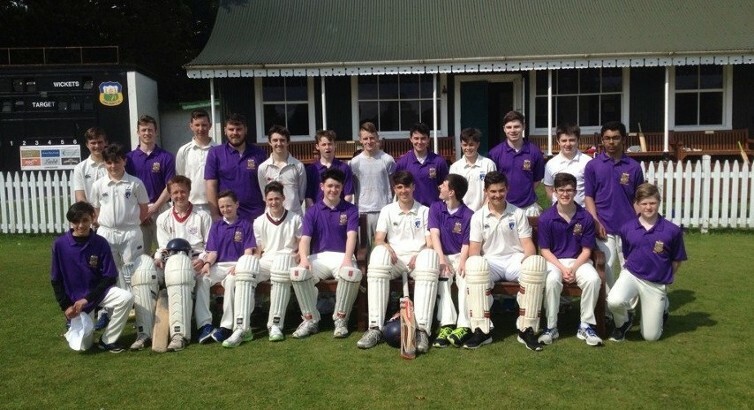 The fourth running of the Munster Senior Schools T20 tournament kicked off last Thursday (April 19th) as Bandon Grammar School got off to a winning start, defeating Christian Brothers College, Cork. This year a sixth team will take part with Sexton Street CBS, Limerick making their competitive debut and on the evidence of their performance in a friendly fixture last season, when they comfortably defeated Midleton College, they will more than give a good account of themselves. Sexton Street’s arrival on the T20 tournament scene is testament to the extensive training regime that their players have committed to over the past 18 months and to the selfless dedication of their coach Lloyd Woulfe. All-rounder Haroon Safi, a 2017 Munster U13 cap, and bowler Wasim Azad will be key players for the Shannon-side based newcomers. Cork Combined Schools will start as clear favourites to retain the title they took with a 100% winning record last year but team manager Chris Hickey will be mindful that having a strong squad with a number of youth inter-provincials available is no guarantee of success in the T20 format. He’ll be looking for some of the junior players to really come to the fore this year with the younger of the Whittaker and the O’Reilly brothers, respectively Jacob and Shane, and Adam Hickey among others in the vanguard. Of the Cork city schools, CBC will miss the influence of last year’s Player of the Tournament, Cormac McCarthy-Hann, and much will rest on the very capable shoulders of new captain Joe Hourihane. Joe’s undefeated half-century batting against Cork Combined Schools last year which brought CBC to within touching distance of a win against the odds is ample proof that he has what it takes to lead from the front. Similarly CBC’ s arch city rivals Presentation Brothers College will miss the batting and bowling of Diarmuid Carey so team manager Don Buckley will be expecting the ever-reliable Brian Kelleher to step up to the plate both with bat and ball and also as captain. Brian can call on a very experienced core group of Max Egan, Masroor Salam and fast bowler Hamza Idrees to provide key support as Pres attempt to reach the play-off final for a third year in a row. Cricket is continuing to make significant progress at Bandon Grammar School thanks to the tireless commitment of coach John Buss who is not only coaching the players but also making improvements on the facilities front with the development this year of a turf wicket. He will looking for more consistency from his squad in their third season in the T20 competition and BGS have the players who can achieve that in the battle-hardened trio of Jack Buss, Daniel Kennedy and Patrick Boyle and also from a supporting cast which includes Andrew Furney deBarra and Paul Jackson among others. Midleton College head coach, Andrew Levis, will be aiming for his side to continue from where they left off in their last match of the 2017 tournament when an impressive batting performance saw his charges beat BGS with a comfortable 14 balls to spare. Cal Bawden, the star performer with the bat in that game with an undefeated half-century, and fast bowler George Hennessy who took 3 key wickets that day lead a squad which will also feature the Harrys Deane and Cremin and German cricketer Max Sturm. With the squad having the benefit of a further year’s experience under their belts Midleton should be capable of raising their game this time round. The round-robin matches continue until the third week of May with the top two teams scheduled to meet in the play-off final in the week commencing Monday May 21st.